After months of reveling in every milestone your baby reaches, heading back to work can be a big transition – for you and your baby. Here are some tips that can help ease the transition. 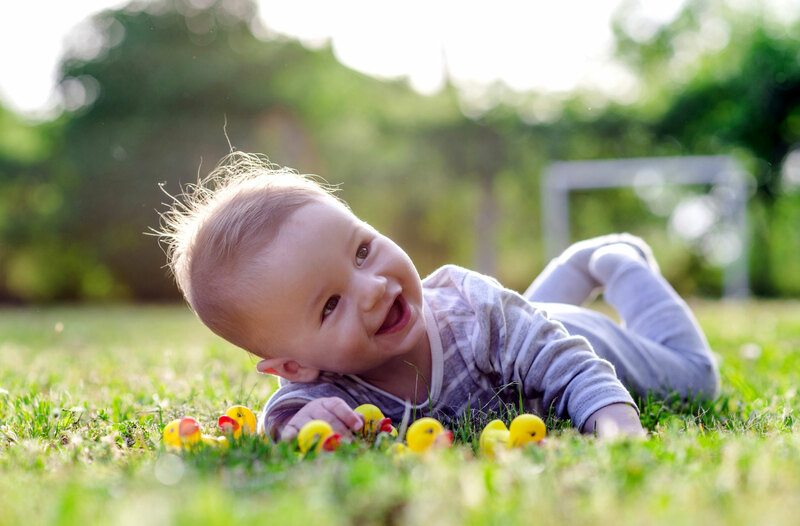 Childcare – You may have been on childcare waitlists since before your baby was even born, or maybe you came to the game a little later: either way, finding a childcare provider you trust is a big decision. Once you’ve found the perfect provider (whether it’s a larger centre, home daycare, a family member or nanny), it helps to start the transition early. That way, once you return to work you’ve already established a routine. You can also take advantage of the childcare while you’re still off work to enjoy some much-needed ‘me time’. Baby steps – You might want to consider easing your way back into work. Many people find it helpful to start mid-week. Or, talk to your boss about staggering your work re-entry over a month – you could start with 2 days, then increase to 3 days on the second week, etc. – by the end of the month you’ll be back full-time. Be prepared – Before the week starts, spend some time on Sunday preparing yourself for the week. This might include meal planning and batch-cooking so you have meals ready-to-go, choosing outfits (for yourself and baby), and if you have a partner, deciding who’s going to be doing drop-offs and pick-ups each day. Be kind to yourself – Readjusting to being back at work, and leaving the little one in someone else’s care, can take time. But know that most parents feel the same way, so give yourself a little slack if you find your mind wandering during the day. Find something to look forward to each day, like grabbing coffee with a co-worker, treating yourself to lunch, or allowing yourself some alone time. Catch some zzzzzzzz – Double duty can be exhausting. If you find yourself ready to drop after tucking in baby, it’s okay to leave the dishes in the sink or some toys on the floor. Perfect is over-rated. But do you know what isn’t over-rated? Getting a great night’s sleep. Put down that dirty mug, snuggle up under the covers to chill out and treat yourself to a little extra shut-eye. Make a date – A date with baby! When the week is finally over, set aside some one-on-one time over the weekend to do something you both love whether it’s a trip to the playground, a walk to the ice cream parlor for a treat, or even some extra snuggle time. These are just some tips that can help, but know that while it seems hard at first, everything gets easier with time. And even as life gets busy, know it’s always ok to make some time for yourself – whether it’s for a morning jog or a coffee on the deck. It will help you reset so you can be the best parent for your child. Before you head back to work, take a moment to reevaluate your family’s health care coverage, especially if you don’t have group benefits. Check out the health care plans offered by Blue Cross, and learn about discounts and savings with our Blue Advantage program.